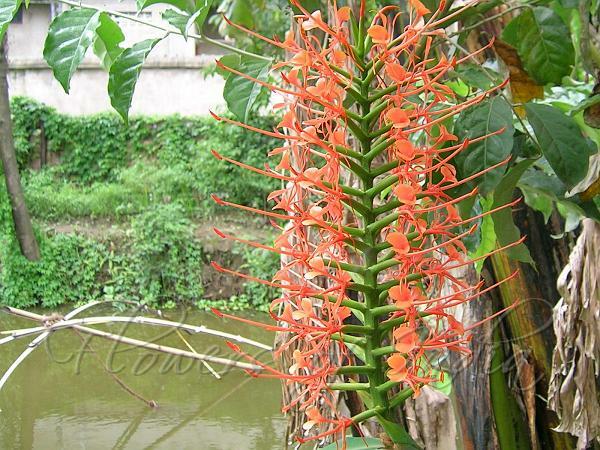 Orange Ginger lily is a plant found in the Himalayas which produces beautiful orange bottle-brush like spikes of orange flowers. Flowers are very showy, bright orange-red, many in a long upright spike up to a foot long, each with a long-projecting stamen. The stamen has bright red filament, twice as long as the linear petals. Leaves are sheathing at the base, with long lance-shaped blade, 5-8 cm broad and up to 45 cm long. 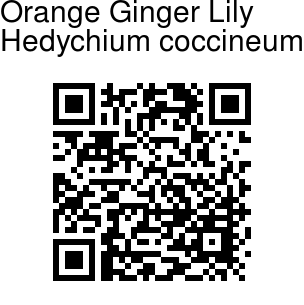 Stem can grow to 2 m. Orange Ginger lily is found growing wild in the Himalayas and in the NE India, at altitudes of 450-2000 m. Flowering: July-August.